The Substitute 2 is decent but not as good as the third one. Treat plays Karl Thomasson, a mercenary who infiltrates a school full of ruffians and drug dealers. It's just like the predecessor but cheaper. I'm one of the biggest Treat Williams fans. I will watch basically anything with him in it (except Miss Congeniality 2). This is a good showcase for him, but the DTV-style script lets him down. B.D. Wong plays the shop teacher - wait for it -who's evil! His role is uneven and underdeveloped. A standout moment is when Karl whips into his bratty students into shape with, what else, a deadly yo-yo! The movie needed more creative ideas like this, but unfortunately there's no funny lines like "No Talking In The Library" to make up for the lack of inventiveness. 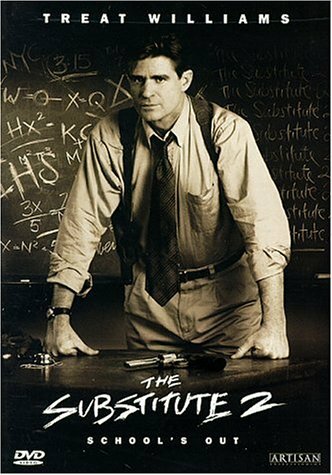 A good tagline could be: "Class Dismissed....Permanently"
If you like DTV Treat, this a good start, but The Substitute 3: Winner Takes All (1999) is the best one of this series.